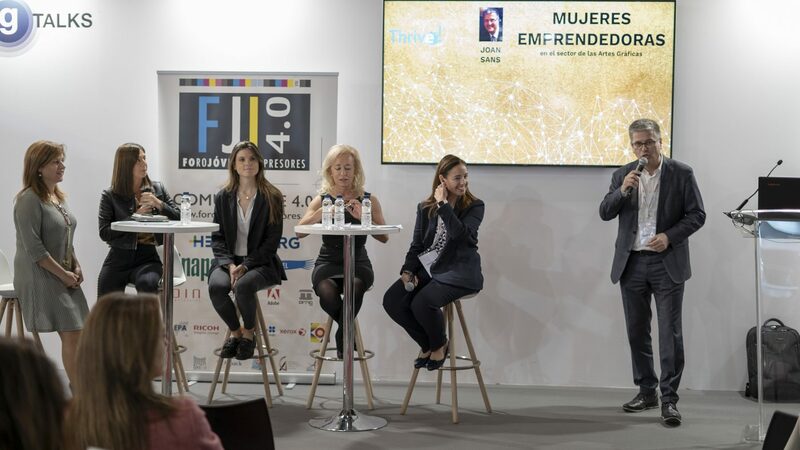 In the 2019 edition of the Graphic Arts fair that took place in Barcelona on March 26, 27, 28 and 29, a presentation of the Thrive project was made through a conference in round table format composed of five businesswomen and entrepreneurs of the Graphic Arts sector. Attached some of the images of the event and a small description of the profiles of women entrepreneurs. 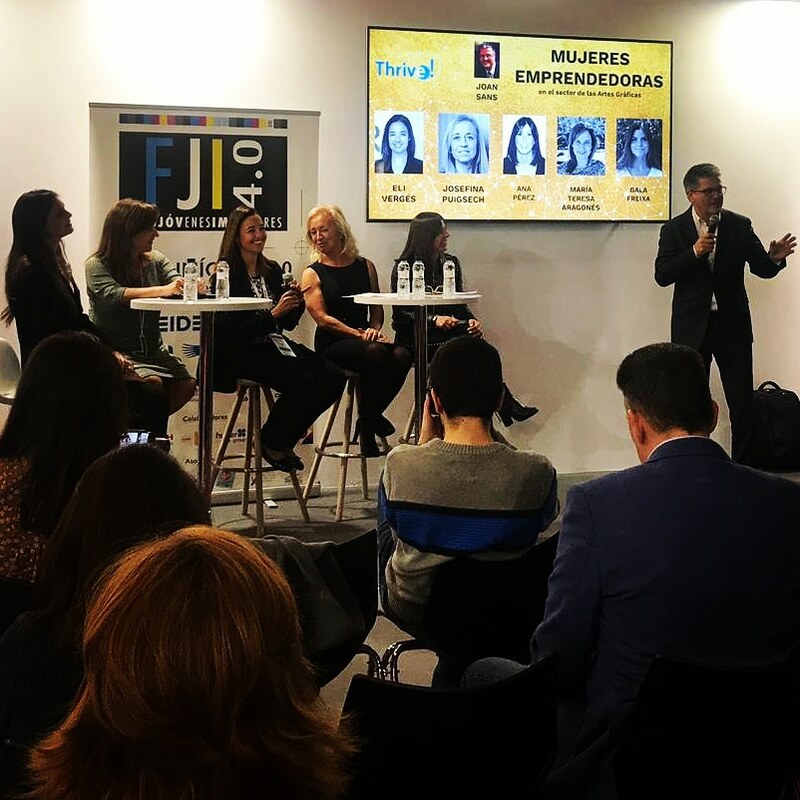 - Gala Freixa (considered by FORBES magazine as one of the 50 most talented women entrepreneurs in the world), sensitive to the environment and committed to her team. -Maria Teresa Aragonés (entrepreneur from the world of cardboard manufacturing, with a whole life related to the family business.) The board of directors of the company consists of 4 women and two men.A formed a company run by women in a sector totally dominated by man). -Josefina Puigsech (woman with character, great sales professional, dedicated to the commercialization of paper for the packaging sector.) Her international vision with offices in Barcelona and London, working for large paper companies in countries such as Germany, France, Spain , ... Fighter and with a lot of energy, an example of constancy and professionalism). - Ana Pérez (Immersed in the commercial world with a strong potential and full of energy.) Impregna strength and speed, able to empathize easily with customers, creative, with commercial blood through the veins.Pulseral of the new forms that surround the company and great vitalizer).